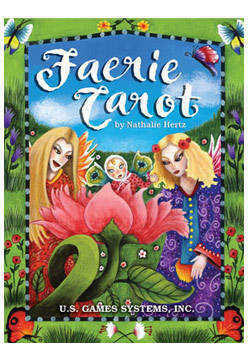 I devoted much time and pleasure in designing this Tarot deck, which portrays the four seasons. 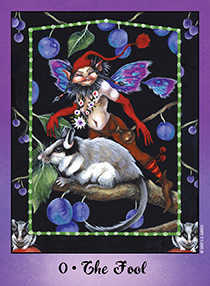 These cards pay homage to nature, its fauna and its flora, my sources of inspiration. 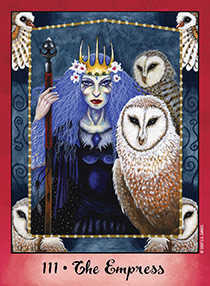 The Tarot cards teach us and enlighten us. 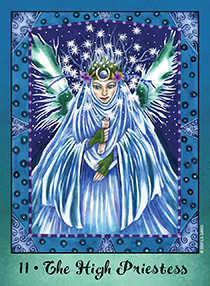 They invite us to meditate and think intuitively. 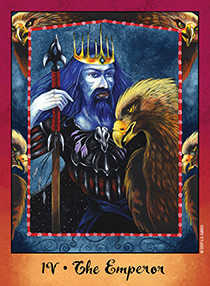 Reading the cards can help us to make decisions, by determining the positive or negative factors. 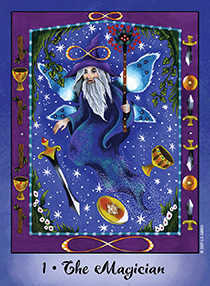 The questioner can master his existence with more clarity, as can he analyze his essential self. 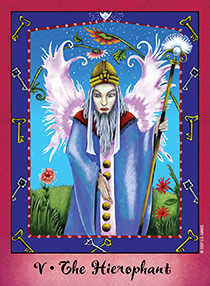 The Tarot projects a great image of what is going on in our lives. But it is left to us to use our free will.